France is one of the most important and transcendent potency of the history of the humanity. At present it is provided with a population who overcomes 64 million inhabitants, ruled by a republic of two-headed character. That is to say: the executive power relapses on the president of the Republic and on the Prime Minister. Its influence in the former colonies still remains in the culture and language of many countries of the African continent. The high birth rate of these countries and the low ratios in the old continent makes for predicting that the French will be the most widely spoken language in the future. Currently, France has more than 2 million inhabitants in its overseas territories. Guadeloupe, French Guiana, Martinique, Mayotte and Réunion are the five overseas departments that the Gallic country holds in the various parts of the world. In our shop you will find the different flags of France, from the national, work of the painter Jacques-Louis David in 1794, until the most varied versions of the same, with the Eiffel tower as main protagonist. In addition, our collection of flags in France you will find the emblems of its different regions, as Mulhouse or Britain, or of their unique communes, cases of Hillion or Bréhand. 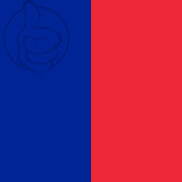 But if what you like are the cities, the flags of Rennes, Lyon or Paris are also available in flagsok.com It should be noted that France is the most visited in the world. Each year receives an average of 70 million tourists, of whom more than half are eaten by Paris. And the fact is that the city of the love was, it is and it will be one of the most singular and most special of the world. Napoleón, Juana de Arco, Discardings, Voltaire or Montesquieu are some of the most excellent historical figures of the French history. But the French country also stands out for many other aspects, like its crepes, its wines or its minimalistas Macarons.